Hostel 365 For U is brand new hostel situated in the utmost center of Dubrovnik. 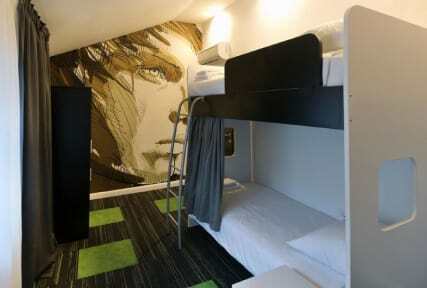 The hostel offers accommodation in modern designed rooms for moderate prices. Guests will find a 24-hour reception desk, as well as lockers and a shared lounge area with satellite TV. You have free wi-fi access and air-condition. We are waiting For U.
Dubrovnik is world famous for its historic heritage, city walls, museums and great surrounding nature. Every year more tourists come to visit Dubrovnik. With its position in the center of the town, there is quick and easy access to great bars, restaurants, discotheque. When travelling all traffic points are very close. All modernly furnished rooms are soundproofed and feature a wardrobe, as well as a seating area. Shared bathrooms comprise a shower. Cancellation policy: 72 hours before arrival date. City tax (HRK 10HRK per person per night) is not included in the given rates and must be paid upon arrival on top. Hostel is open 24 hours. Reception is working from 00-24. On the reception, guest can get useful information for trips, transfers and excursions. PARKING - you have to reserve parking space before arrival - 10€ per day. Pets are not allowed in the hostel. Great hostel. Clean which is the most important thing, helpful and friendly staff. nicely located between the main bus station and the old city; great owner, very nice and eager to provide assistance. very clean and modern bathrooms and bedrooms, all very good and I definitely recommend. 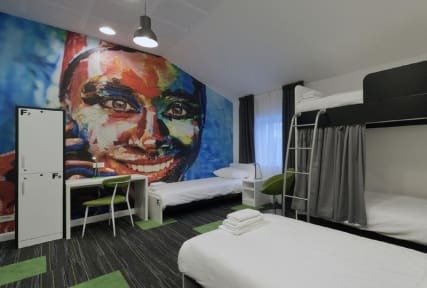 They had initially missed our booking so had to split our group of three into two rooms but two of us had a private room so we were very happy with that and they gave us a discount for the mix up (thank you!!) in regards to the hostel, it was very very clean with fresh towels and bathrooms cleaned regularly. All new furniture and good location! Walking distance to old down and main port-would stay again! Clean and modern hostel, located in the half way between the main bus station and the old town. Helpfull staff. Brand new and very clean! Excellent bathrooms. 30 min walk to Old Town but there’s frequent buses. There’s no real hostel vibe so if you’re looking to party this is not the place for you. Rooms are comfortable and spacious, I would only suggest they add some reading lights so people don’t have to turn on the overhead light at night. A very clean and secure hostel with ample space in rooms and great bathroom sizes. Not such a good place to meet people, despite the large common area and TV available for use. A handy location, merely a 20min walk from the old town. I was supposed to stay on 5 bed dorm. I found some flies from the upper bed while checking it for bedbugs. They gave me another room and bed. After switching the rooms the lady told me that there was a problem with the AC anyway on that room..?! The ac is quite loud too so wear earplugs. The 'kitchen' has only a microwave, no stove. We didn't have any hot water on the first day. The staff seems rude, but I think that's just a cultural difference if you aren't use to it. Overall it’s a good hostel, comfortable and with good shower. The bad things about it is that it’s a bit far from the old town and the room that I stayed in didn’t lock the door.